Last year I asked my Facebook followers which pumpkin recipes they were interested in seeing on the blog and YouTube channel and most people requested pumpkin pie and pumpkin bread. I did upload the pumpkin pie recipe and promised to make the pumpkin bread recipe as well but never had time to record it until now. 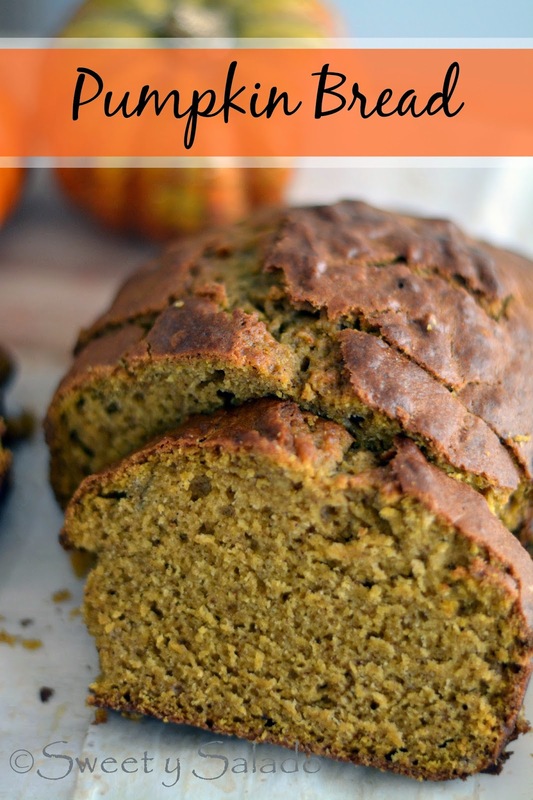 This is the first and only pumpkin bread recipe I’ve used because it’s so wonderful that I never felt the need to try other recipes, but I really should just to see if there’s anything out there that can top this, although I find that hard to believe. I did, of course, make a few changes to the original recipe, which is something that I almost always end up doing with every recipe I don’t come up with on my own. I also try to use fresh pumpkin puree if I have the time to make my own but if not, I don’t hesitate to use the canned stuff because it works just as well. 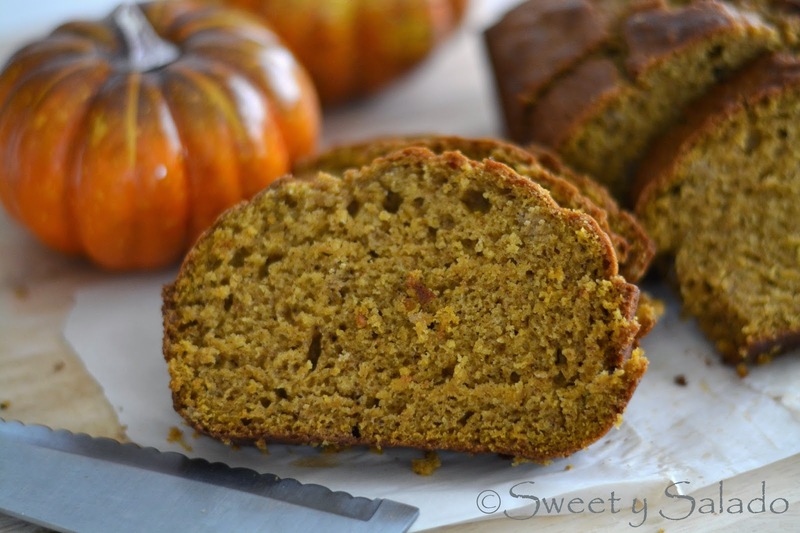 So, if you’re just like me and enjoy anything that is made with pumpkin in the fall, then this recipe should be the first one to make as soon as the leaves start changing. 2. In a medium bowl, mix flour, baking powder, baking soda, salt, cinnamon, nutmeg, cloves and ginger. Set aside. 3. In a large bowl, mix pumpkin puree, eggs, oil, butter, water and white sugar. 4. Then, add the dry ingredients into the wet ingredients until the flour disappears. You can do this by using an electric mixer or mix everything by hand with a whisk and/or a spatula. 5. Pour the batter into two prepared 9 x 5 x 3 inch (23 x 13 x 8 cm) loaf pans and bake for 1 hour and 10 minutes or until a toothpick inserted in the middle comes out dry. 6. Once the breads are ready, let them rest inside the pans on a cooling rack for 10 minutes. Then, take them out of the pans and let them cool completely on the rack before serving. ** Note: You can tightly wrap one of the loaves with plastic wrap and store it in the freezer inside a storage bag for up to two months.